It is a critical advancement, since even short disruptions can inconvenience customers and cause financial and productivity losses. 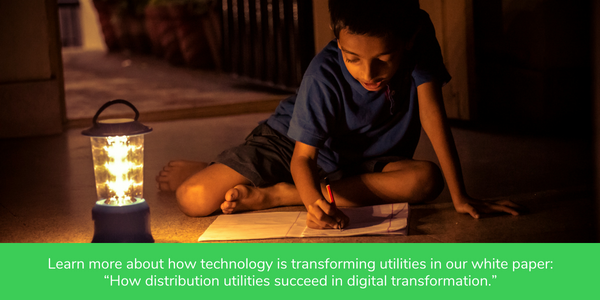 One of the primary characteristics of a smart grid is its ability to self-heal. Self-healing capabilities minimize blackouts because they allow for continuous self-assessments that inspect, analyze, react to, and automatically respond to problems. This is possible through the widespread deployment of sensors and other intelligent devices and automated controls that check and evaluate the status and condition of the network to identify abnormalities and problems. Using this information, the grid can agilely and accurately isolate network failure and react to protect the power infrastructure. This intelligent automation allows more effective monitoring and decision making without human intervention. The overall result is a more reliable grid that maximizes uptime and increases the efficiency and security of your systems. The information properly routes emergency repair crews to the precise location so they can begin fixes quickly. FLISR technology has reduced the customer minutes of interruption (CMI) by up to 51% for an outage event and reduced the number of customers interrupted (CI) by up to 45%, according to a U.S. report. The electrical grid will always be at risk of outage, caused by weather, equipment failure, wildlife, human error, and even sabotage, but with technological advancements, you can troubleshoot problems before they occur and get up and running faster after an outage.